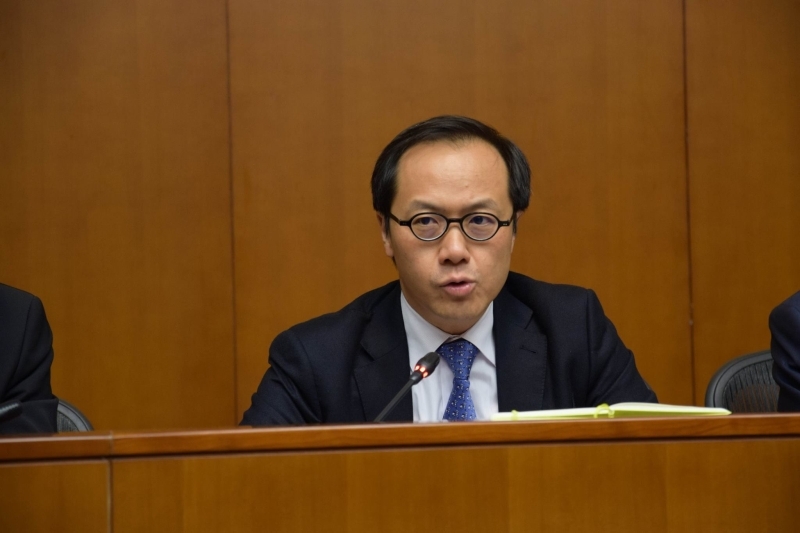 Executive Councillor Joseph Yam has criticised the former financial secretary for “being a miser,” urging Hong Kong to adopt a less rigid fiscal regime to allow for budget deficits as a measure to boost the economy. The comments came ahead of the upcoming policy address in October. Yam was the former head of the Hong Kong Monetary Authority until 2009, when he published a weekly blog. He seldom posted entries following his retirement, and did not publish any articles during former chief executive Leung Chun-ying’s tenure between July 2012 and June this year. Carrie Lam and Joseph Yam. File Photo: Apple Daily. “The fact that in the past decade Hong Kong has been continuously running substantial fiscal surpluses, notwithstanding the requirement in Article 107 to ‘strive to achieve a fiscal balance’, has not been a matter of public concern, other than the mild criticism directed at the Financial Secretary in being a miser,” Yam wrote, without naming former financial chief John Tsang. 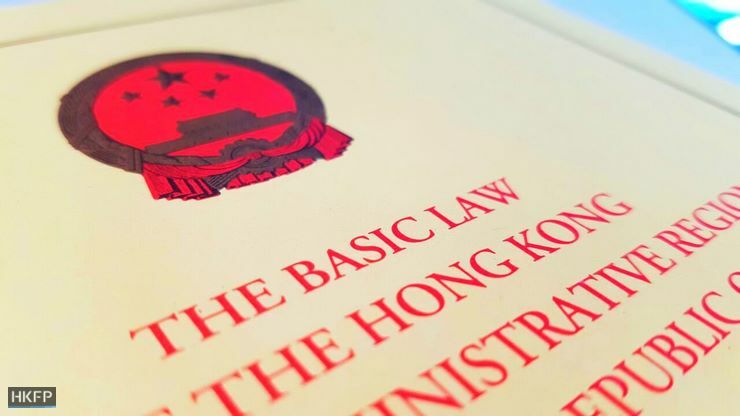 Article 107 requires Hong Kong to “follow the principle of keeping expenditure within the limits of revenues in drawing up its budget” and to “strive to achieve a fiscal balance, avoid deficits,” to keep the budget commensurate with the rate of GDP growth. 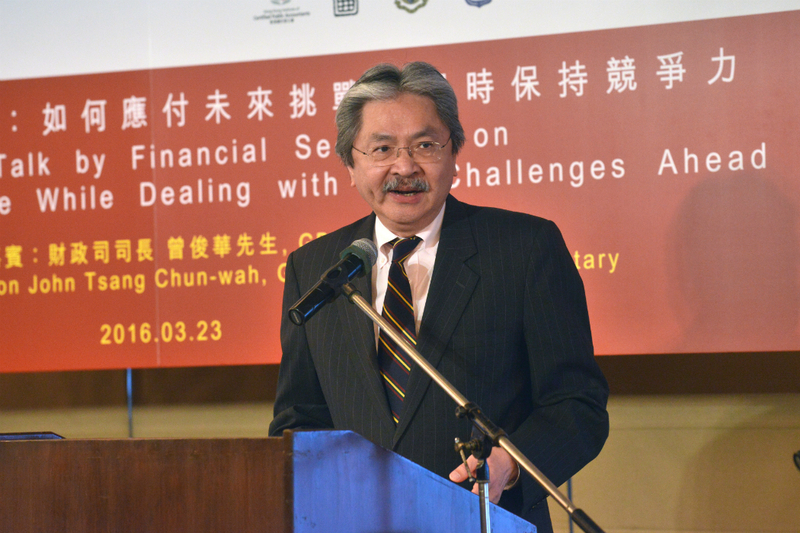 Tsang was finance chief between 2007 and January this year. 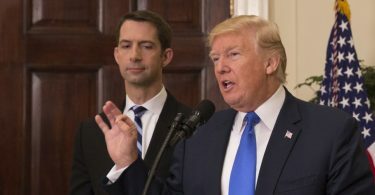 His critics accused him of making repeatedly inaccurate estimates in each annual budget and said he was unwilling to increase public spending despite amassing hundreds of billions of dollars in the public coffers. When Paul Chan took over as finance secretary and published the budget for 2017-18 in February, he predicted a surplus of HK$16.3 billion and reserves of HK$952 billion by March next year. “Sensibly, we should be talking about achieving a balance over an economic cycle,” he wrote. Yam wrote that the Article 107 did not prohibit counter-cyclical budget deficits, or deficits to boost future economic growth and government revenue. “Readers will more readily appreciate the wisdom behind all this by considering the example of driving a car: you inject a greater quantity of gasoline when the speed of the car is too slow and less when the speed of the car is too fast,” Yam wrote. 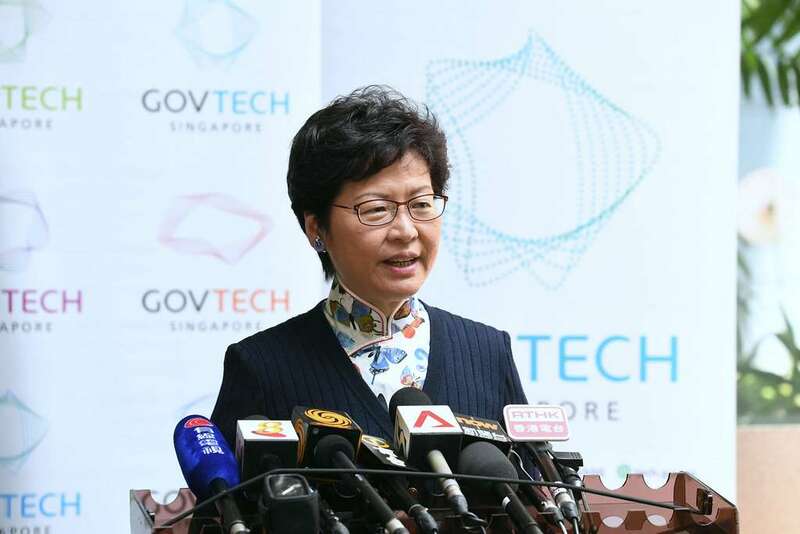 Chief Executive Carrie Lam, meets the media in Singapore after visiting GovTech Hive, an innovation lab for digital services. Photo: GovHK. Yam was a top adviser to Lam during the chief executive race earlier this year. Lam’s election manifesto aimed to “wisely use our accumulated surpluses for the community.” She suggested investing “more generously,” and in a timely manner as a preventive measure, revising government policies on land premiums and the tax system. 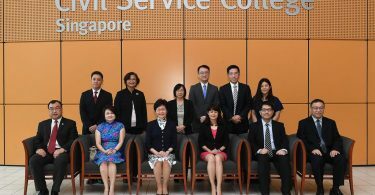 Lam said her understanding of Article 107 was that it did not stipulate a “rigid” financial regime of avoiding a budget deficit every single year. “I did not plan this with [Yam], I did not tell him to write his article. But I believe his article is constructive, society can have some discussion,” she said during a visit to Singapore. She added that such discussions may be beneficial to implementing a “new fiscal philosophy” in the future. Accountancy sector lawmaker Kenneth Leung said Yam’s view on Article 107 was not new, as the government had increased spending in 2003 to boost the economy. He said he expected the government would receive some HK$100 billion from land sales, but added the revenue should not be spent without a purpose. “The government should increase spending in health care, education and environmental protection, among others,” he said. He suggested HK$4 billion in funding should be given to the Hospital Authority’s drug formulary, and the government should exempt the first time registration tax for electric cars.